Join in making collaborative drawings under the twinkling lights of the Open Field Grove. Like the very popular daytime edition, Drawing NIGHTclub invites local artists and the public to grab a pencil and add contributions to an evolving pool of pieces over the course of the night. 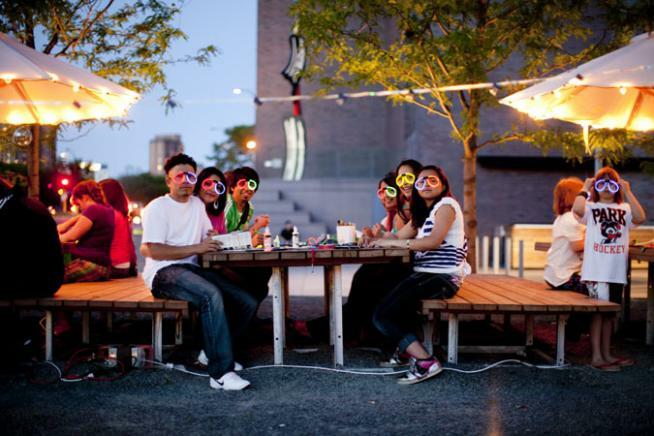 Think glowsticks and blacklights for this nocturnal round of social art making.